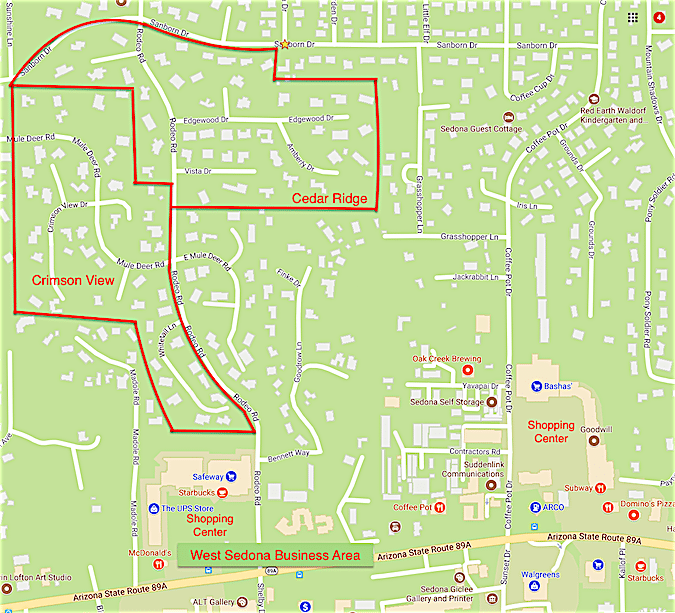 If you travel north from State Route (SR) 89A onto Rodeo Road and start heading up the hill, you will reach Crimson View, Western Hills sub-divisions along with Cedar Ridge, Sedona Arizona. What you will notice first are Crimson Red Rocks of Capital Butte and Thunder Mountain. In the northeast, you can’t help but see Coffeepot Rock. 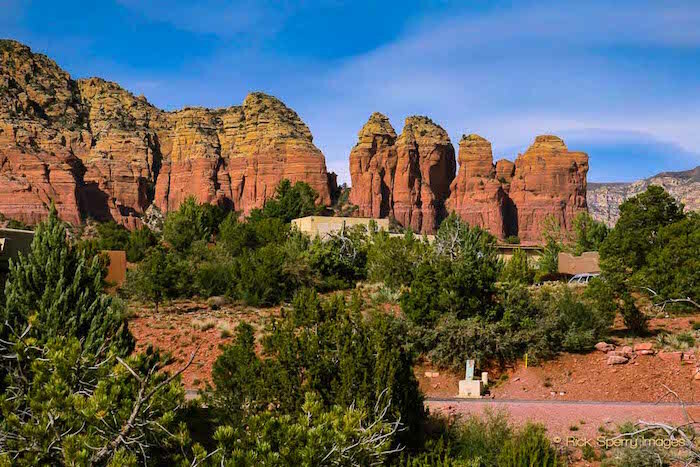 There are many homes with views of Sedona looking to the east. This area is elevated from SR 89A. Off in the northwest, you might gaze upon Chimney Rock, but be careful not to take your eyes off the road! It is easy to do with these beautiful views. It provides views that are not available from the main highway passing through Sedona business district. 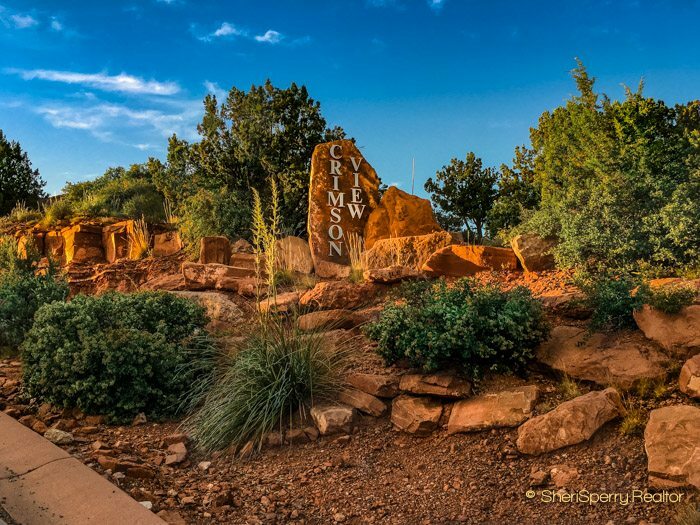 Speaking about the Sedona business district, just one more reason this area is a favorite among residents and buyers alike is that Crimson View sub-division is close to the business district. At the bottom of the hill is the Safeway shopping center and numerous restaurants close by. 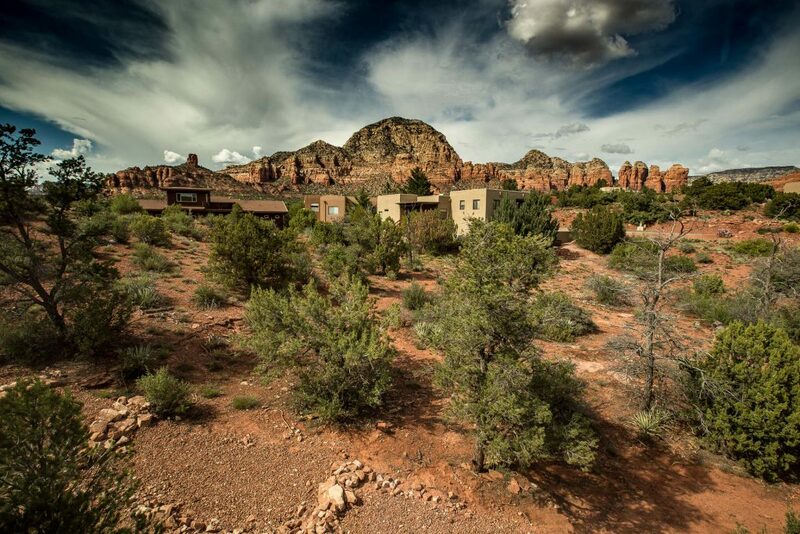 You will find an Urgent Care as well as other medical facilities and professional offices within another four minutes of the intersection of Rodeo Rd and SR 89A. There are many trails right above those homes. The Stupa and trails leading to Sugarloaf Mountain are close by and easy to access. I have been up to Sugarloaf and there is an amazing view of the landscape above and below. It is not a difficult hike but will clear your head and allow you to enjoy the reason you moved here in the first place! 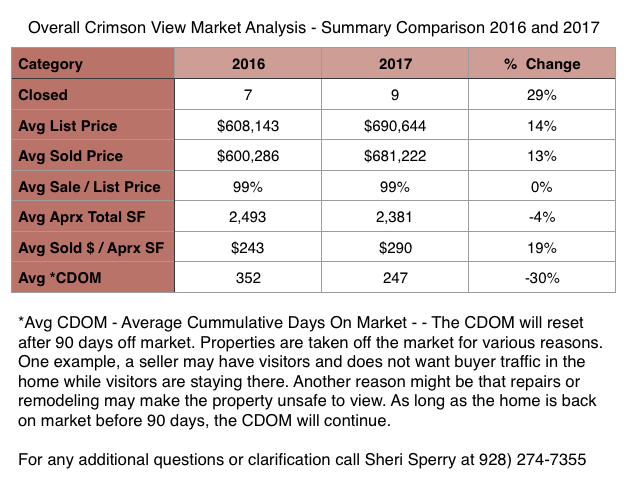 The Crimson View market has shown a lot of strong activity in 2017 compared to 2016. The average Cumulative Days On Market dropped by over 3.5 months in 2017. The homes continue to sell at only a 1% discount off of list price. This is not a market you can wait around to see what happens. 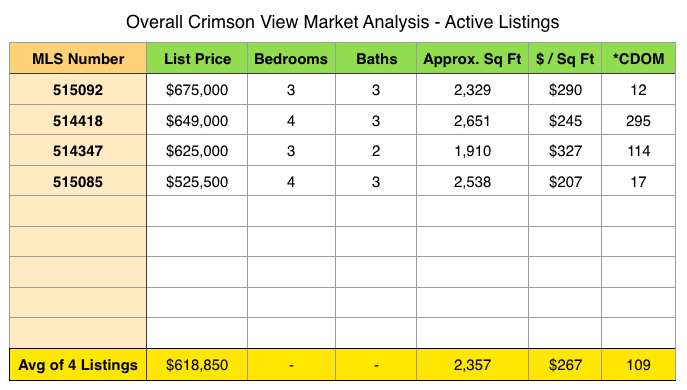 Sheri Sperry has sold many homes in Crimson View. 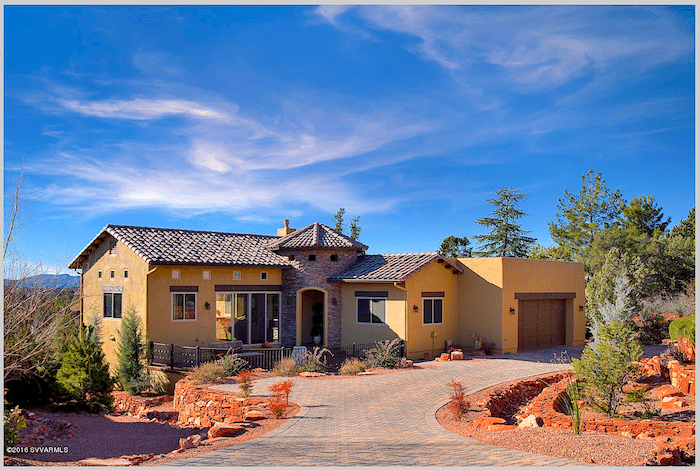 Contact Sheri Sperry Coldwell Banker Sedona.